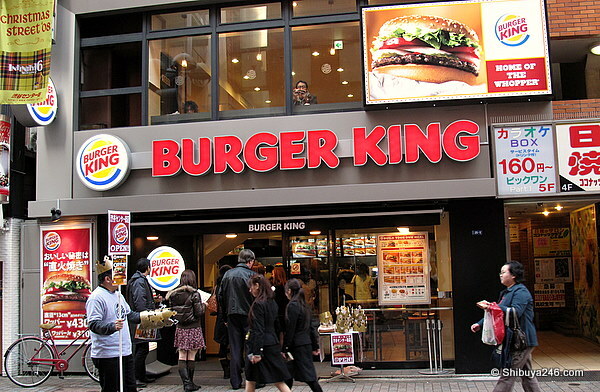 Burger King has been back in Japan for a while now, but it is great to see the franchise back in the middle of the center-gai in Shibuya. I was passing today and saw the store was open. When I stopped to check the menu I heard the manager telling someone “we opened yesterday. Thanks for coming”. Lets hope it is here to stay this time. 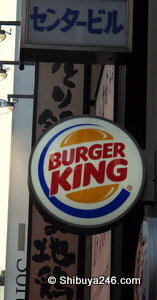 mmmm.. Burger king! I could go for a chicken sandwich and some onion rings right about now! Tasty eats!! That’s disgusting. I’m getting nauseous just thinking about Burger King food.